For patients with missing or failing teeth, finding a replacement option that provides improved health, function, and aesthetics can be achieved with dental implant placement. Dental implants offer a more functional alternative to removable dentures, as they replace the missing tooth from root to crown while also providing stability for a dental prosthesis. At Hillcrest Dental Group, our dedicated team oversees each stage of the dental implant restorative process. If you are looking for a comprehensive solution to gaps in your smile, contact us in Petaluma today. the jaw, helping to maintain healthy volume and prevent resorption. Our office uses precise imaging to pinpoint the exact location of placement, ensuring your restoration will fit comfortably and uniformly with surrounding teeth. Before performing the procedure, our team at Hillcrest Dental Group will conduct a thorough evaluation to ensure you are healthy enough to receive implants. For those lacking the proper jaw tissue to support the fusion process, we may recommend a supplemental procedure such as bone grafting to bolster the area. Other factors can preclude you from being a good candidate for this restorative treatment. Those who smoke, take certain medications or aren’t healthy enough for surgery may benefit from our traditional tooth replacement options. The procedure itself involves three stages. The first stage involves having our oral surgeon place the implants into the jaw bone. We usually only need local anesthesia to numb the area, but offer sedation options for the more anxious patient. We allow two to six months for the treatment site to heal and for the implant to fuse with the bone. A temporary prosthetic is provided to prevent you from being toothless during the healing process. In the final stage of treatment, we affix the appropriate restoration to the implant post. 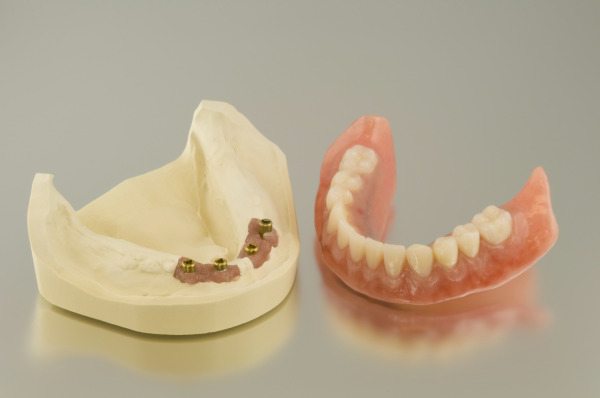 Whether missing a single tooth or many, we have an array of suitable prosthesis to restore your tooth. Dental implants can support restorations such as crowns, bridges, or dentures. Once your smile is completely restored, our doctor provides you with helpful care techniques so you can maintain your smile’s healthy function for years to come. At Hillcrest Dental Group, our doctors recognize the importance of finding a permanent tooth replacement solution. That is why we offer dental implant placement for our patients throughout Petaluma and the surrounding communities. Call us today if you would like to schedule an appointment with our trusted dental professionals.